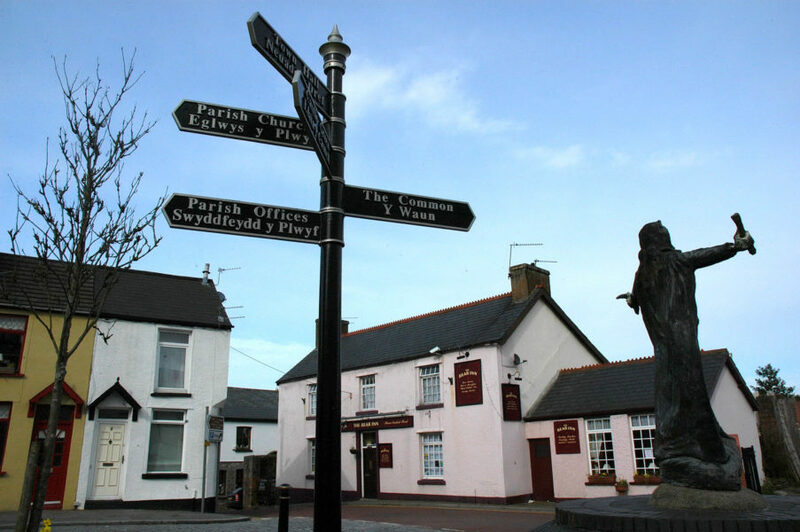 This small inland rural village is worth exploring, from the listed Victorian wooden village shop which is still in operation, to Hawen Welsh Independent Chapel which dates to 1747. 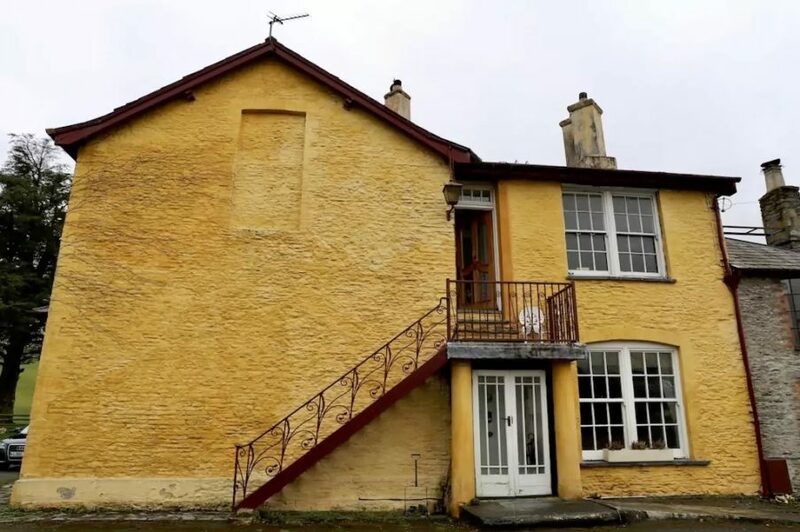 Rhydlewis is the childhood home of writer Caradoc Evans (1878-1945) who infuriated Welsh speakers by publishing a series of English language works of fiction which exposed what he saw as the hypocrisy of chapel-going piety. He directly parodied Rhydlewis in both My People and Capel Sion, which was removed from sale due to the offence it caused. 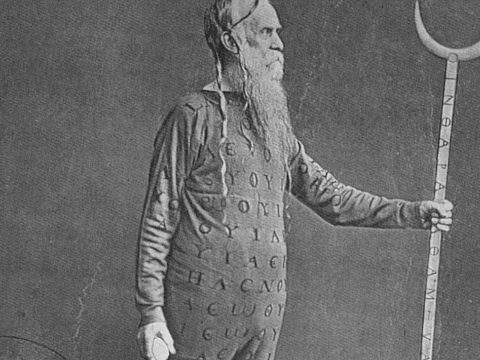 A first language Welsh speaker, the national press named him the “best hated man in Wales” for some time. 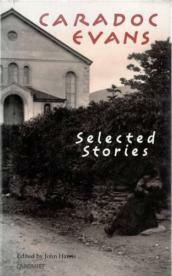 His style is influenced by the structures and lyricism of Welsh, and was often dark, bleak and surreal. 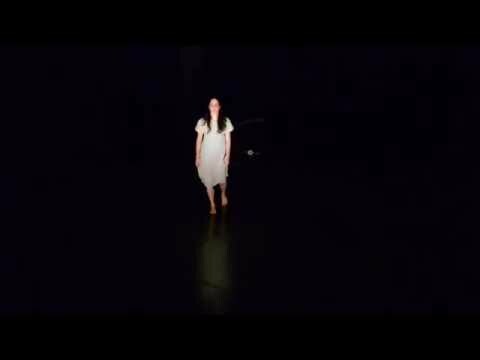 His writing influenced Dylan Thomas, and is currently enjoying recent renewed interest - My People inspired the recent award-winning dance production of the same name by renowned choreographer Gwyn Emberton. Co-founder and leader of the Free Wales Army (FWA), William Julian Cayo-Evans (1937-1995) was born in Plas Glandenys, where he bred horses. 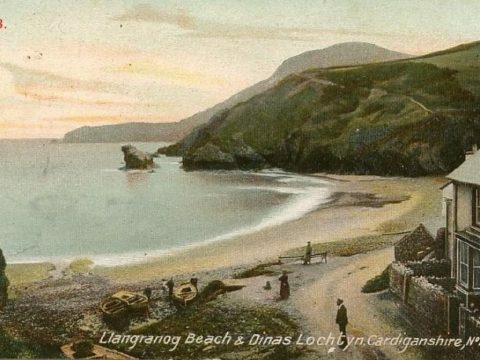 “Cayo”, as he was known, was the son of a former High Sheriff of Cardiganshire and was educated at an English boarding school, where his Welsh nationalism developed. 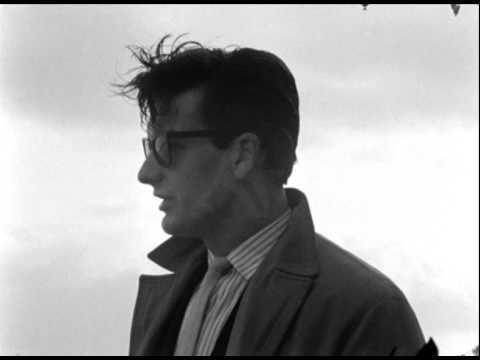 Infuriated by the flooding of Capel Celyn, he was instrumental in the campaign of 'direct action' during the 1960s-1970s. 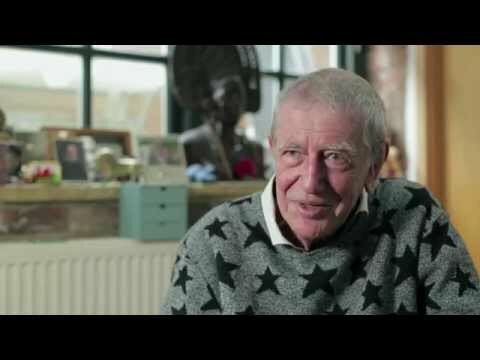 Charming, eloquent and good-looking, he was an excellent publicist for the FWA, staging rifle practice for journalists using dummy guns and marching in Dublin for the 50th anniversary of the Easter Rising in 1966. Sentenced in 1969 for conspiracy to cause explosions surrounding Prince Charles’ Investiture, he served 15 months in prison. Cayo has inspired many books and songs, as well as a pub: The Cayo Arms on Cathedral Road in Cardiff. 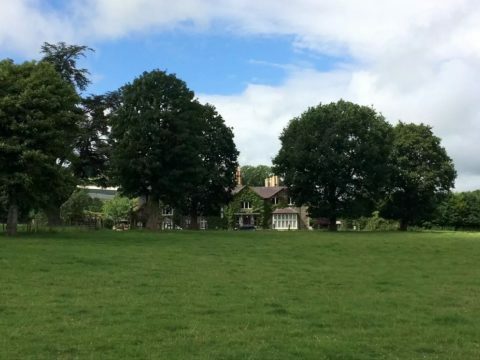 Plas Glandenys is also the setting of the short story The Lovers' Graves by Bethan Phillips, which is inspired by a real-life romantic scandal involving the former owner William Jones and his much younger wife. 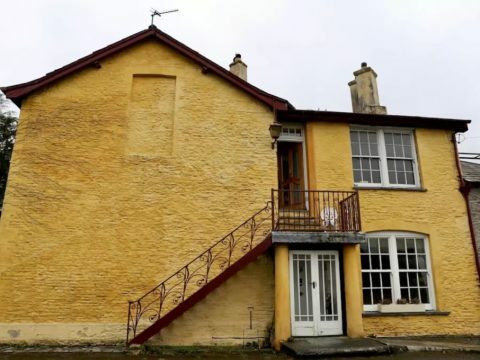 The house is not open to the public, but an apartment in the house is available for holiday lets. 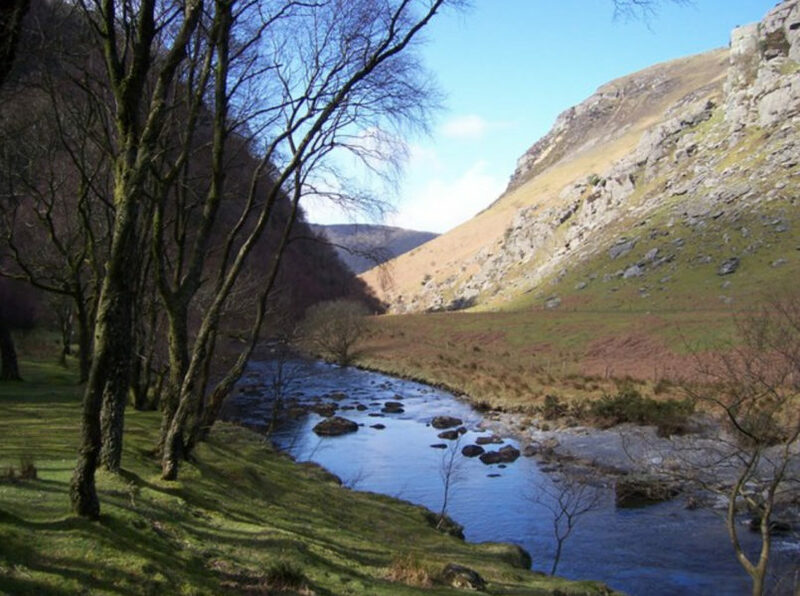 Explore the footpaths to the north of Silian which lead to the FWA training grounds. 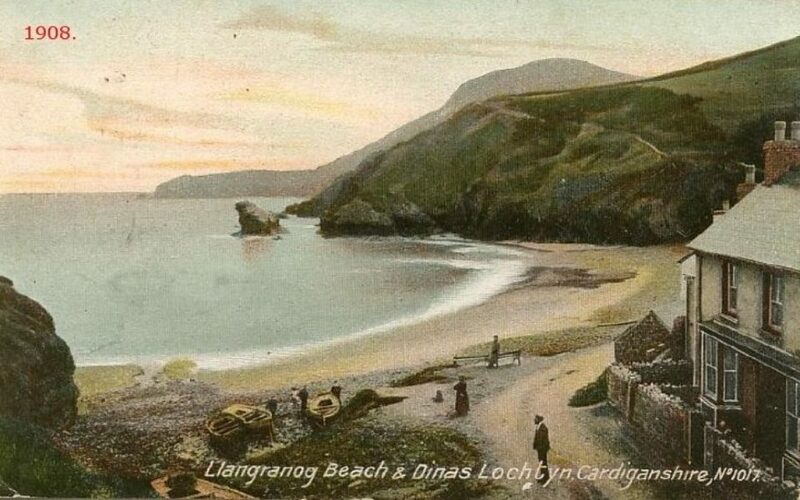 Remarkable and headstrong poet Sarah Jane Rees (1839-1916), better known as Cranogwen, was born in Llangrannog. She quickly rebelled against the typical roles expected of a Victorian woman and instead became a master mariner, the first woman to win major bardic prizes at the National Eisteddfod, a teacher, music examiner, lecturer, temperance advocate, editor and preacher. She toured the USA in 1869-1870, lecturing Welsh immigrant communities. Openly in a lifelong lesbian relationship, she was passionate about encouraging other women to freely develop themselves rather than unwittingly fall into marriage, motherhood, and domestic servitude. 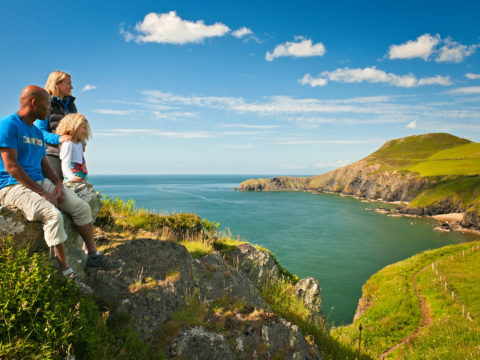 Originally a hidden village above the old port, Llangrannog is now a popular beach destination. 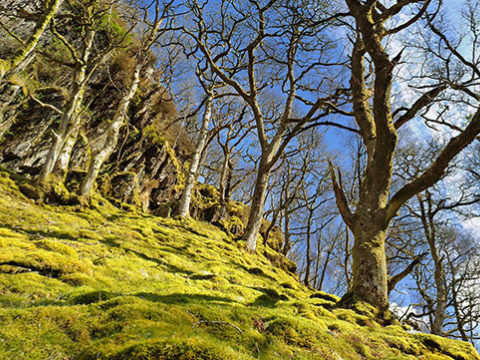 Explore the sandy cove and travel up the narrow valley past the waterfall to St. Crannog’s, where Cranogwen is buried. 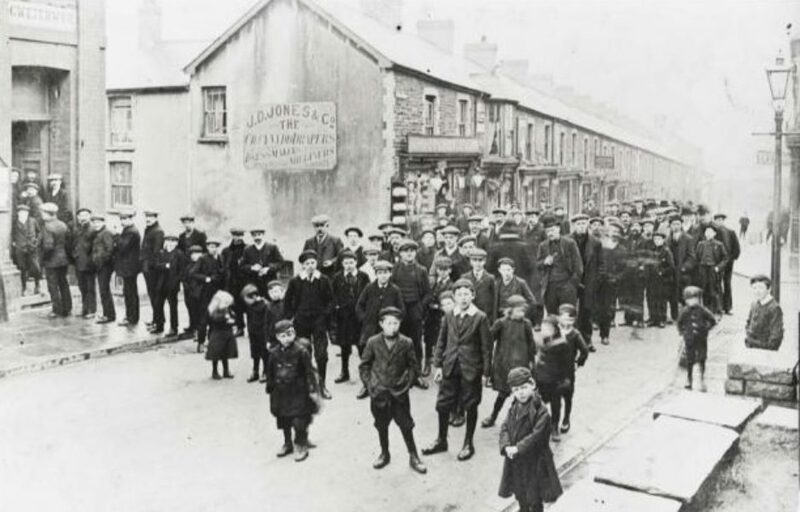 The Tonypandy Riots of 1910-11 were a series of violent confrontations between coal miners, the police and army. They were the culmination of an industrial dispute between workers and mine owners who were working together to control wages; setting income by productivity rather than by the hour, transferring to the miners the cost of more difficult coal seam extraction. The novels Cwmardy and We Live by Lewis Jones (1897-1939) paint a graphic portrait of the casual exploitation, poverty, tragedy, hope and humanity of local communities. 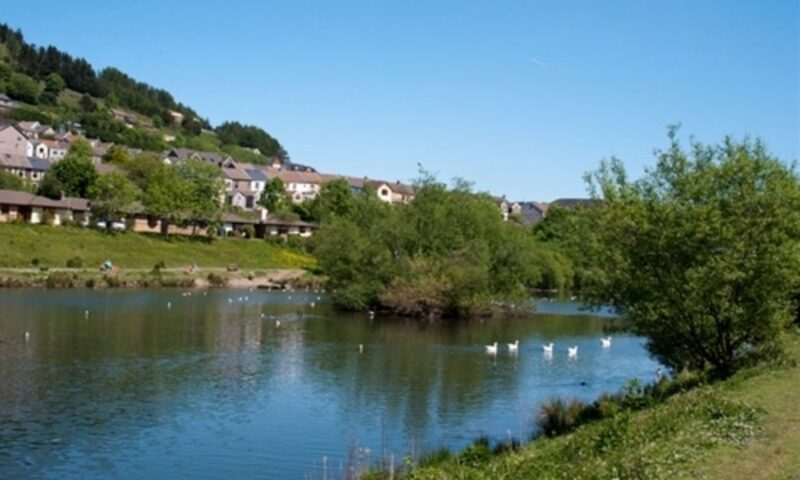 Jones grew up in Clydach Vale, just west of Tonypandy. 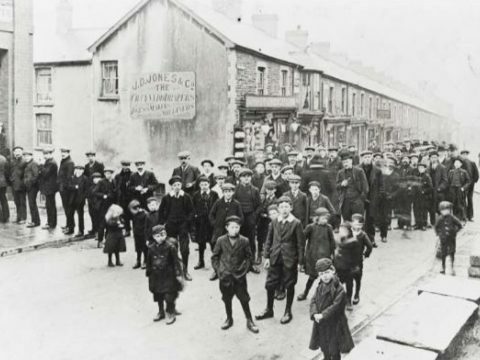 Cambrian Colliery, where most of the Tonypandy rioters worked, was situated in its base. 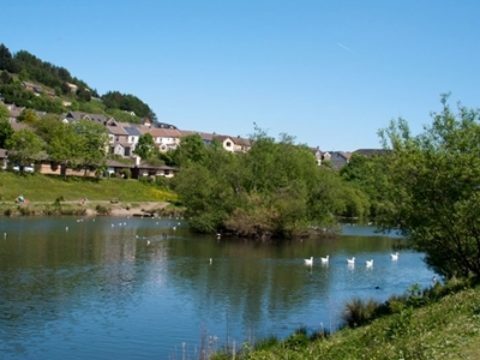 The Cambrian Colliery Memorial is within the Cwm Clydach Countryside Park. 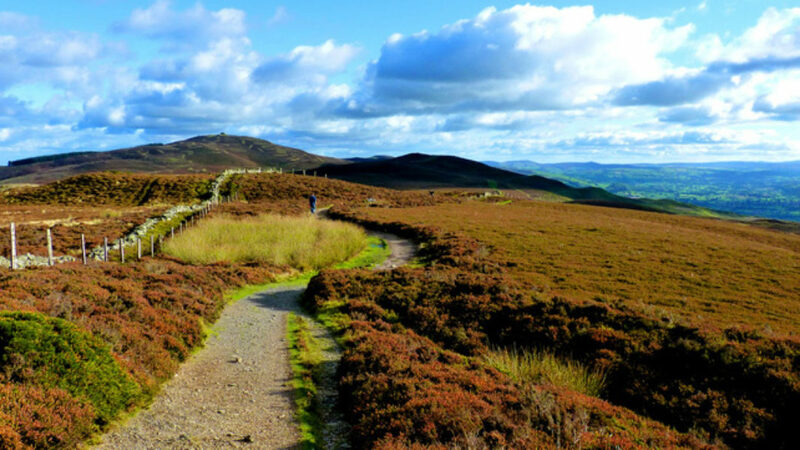 Follow the footpaths up to the mountain following the trails available here. 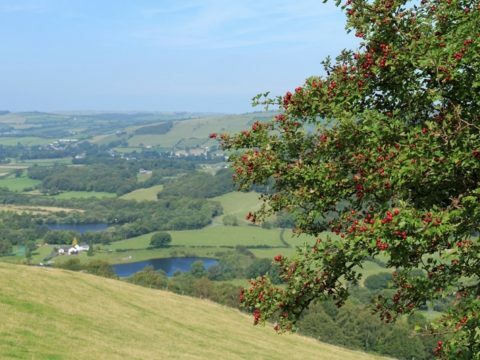 This is the place of Jones' childhood wanderings and provides excellent views of the colliery scars and Tonypandy itself. 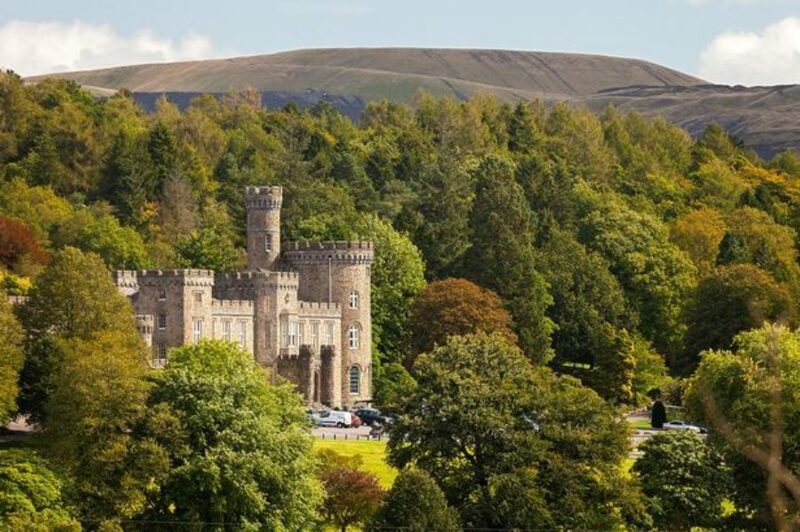 Cyfarthfa Castle was home to the Crawshays: owners of the vast 19th century industrial infrastructure in this part of the Taf Valley. William Crawshay (1788-1867) treated his workers appallingly: lowering wages, failing to address safety risks and laying off staff to maximise profit. 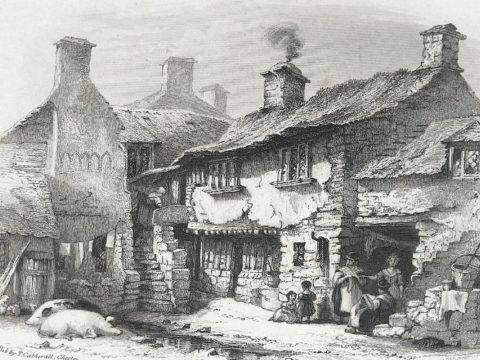 Simmering unrest culminated in the Merthyr Rising of 1831 and the martyrdom of Dic Penderyn (1808-1831). These events saw the first ever flying of a red flag, thereafter adopted as the international symbol for workers’ rights, and inspired many later writers including Harri Webb and Alexander Cordell. 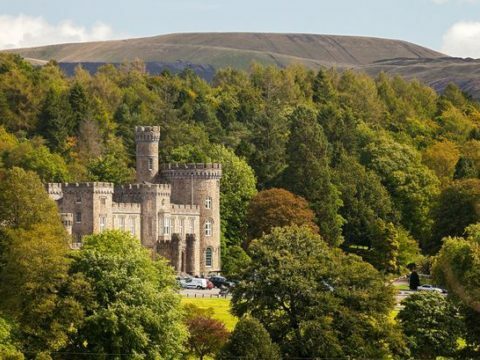 Cyfarthfa Castle Museum & Art Gallery houses collections from this period, including relating to Lady Charlotte Guest (1812-1895) of nearby Dowlais House who first published an English translation of The Mabinogion. 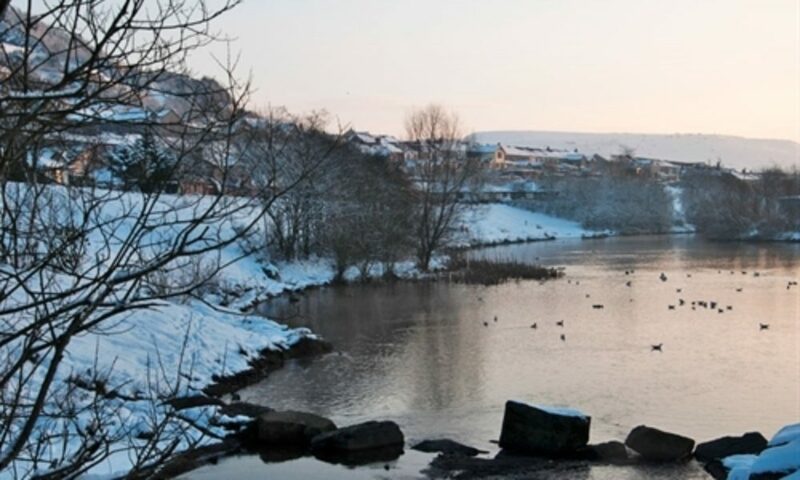 Travel on the Brecon Mountain Railway from nearby Pant to see the industrial scars give way to views of Pen-y-Fan: south Wales’ highest peak. 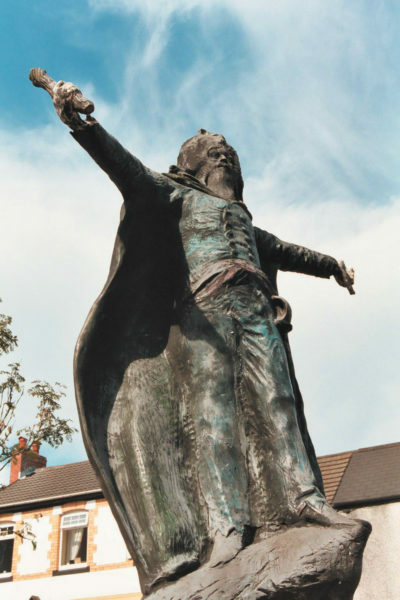 Llantrisant boasts a statue of William Price (1800-1893) - one of the most flamboyant, romantic and revolutionary characters in Welsh history. Price was a brilliant scholar, an exemplary surgeon, a radical activist and a pioneer in social health care who may well have influenced NHS founder Aneurin Bevan. 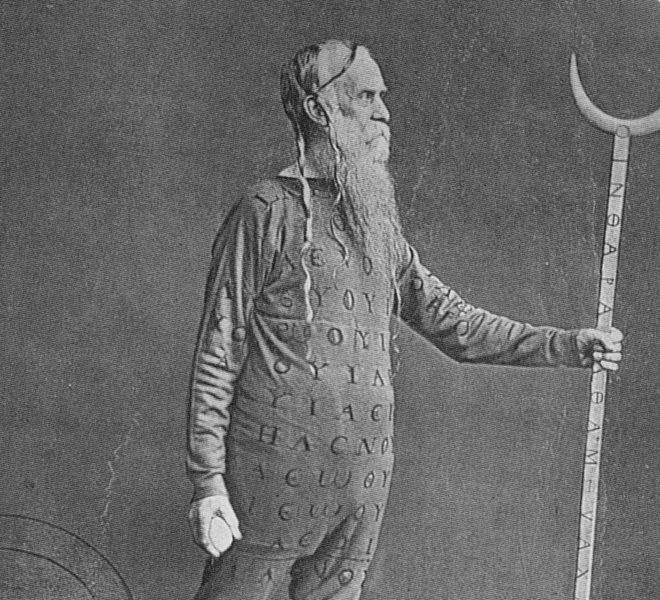 He was interested in eastern religions, medieval Welsh literature, Greek mythology and Egyptology, and was an active Chartist, feminist, philanthropist and Neo-druid who pushed the cause of Brythonic Welsh identity. 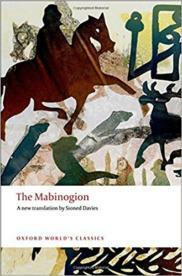 Price developed and enacted ‘pagan’ rites: dressing in druidic outfits and addressing gatherings. Dylan Thomas’ short story The Baby Burning Case is based on the controversial open-air cremation of Price’s infant son, called Iesu Grist (Jesus Christ) in 1884. Chapel goers left the Sunday evening service to see an 84-year-old Price, dressed in white robes, dancing around a flaming casket on East Caerlan hilltop. You can explore the story on foot through the beautiful new walking tour here and associated audio trail here. An intelligent, ambitious middle class woman, Amy Dillwyn (1845-1935) spent her life battling with Victorian patriarchy. Her socialist politics, unconventional dress-sense, cigar smoking habit, and possible lesbian relationship and depression, earned her a reputation for eccentricity. Dillwyn was a pioneer: she successfully and ethically ran Dillwyn Spelter Works after her father’s death, whilst passionately supporting causes of social justice ranging from the striking seamstresses to the Suffragette movement. She was also a significant and prolific writer, exploring themes of class tension and social reform across seven novels. The Rebecca Rioter was translated into Russian at a time of growing revolutionary cause there. 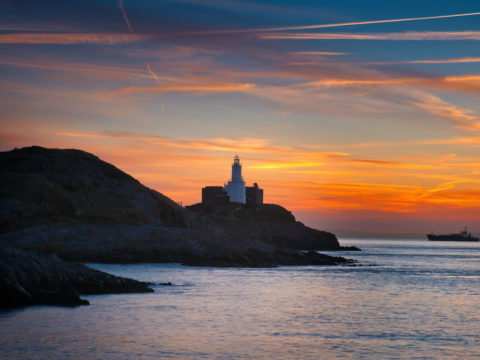 Cycle or walk along the coastal cycle track around Swansea Bay to the Amy Dillwyn plaque opposite her adult home, Tŷ Glyn in Mumbles. 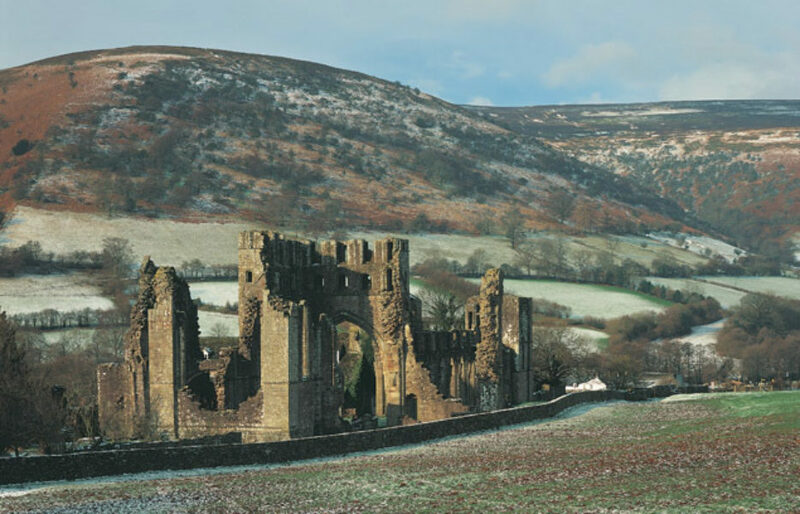 Llanthony Priory is forever associated with writer, maverick and social rebel Walter Savage Landor (1775-1864). Born to a wealthy family, his quick temper and stubbornness led to numerous crises: from family excommunications to libel litigation, society faux pas, and petty squabbles. He published works of prose, poetry and political opinion, purchasing Llanthony with the intention of establishing a country estate. Five years of raging battles with locals and the Bishop of St. David’s meant it was never finished and the ruins of his Georgian mansion are still visible alongside the chestnuts and larches he planted. 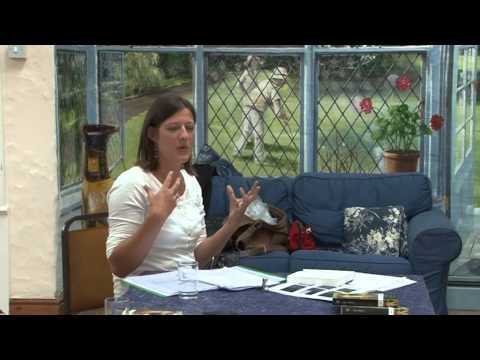 Landor’s life inspired writer Iain Sinclair’s (b. 1943) work of ‘literary archaeology’ Landors’ Tower. 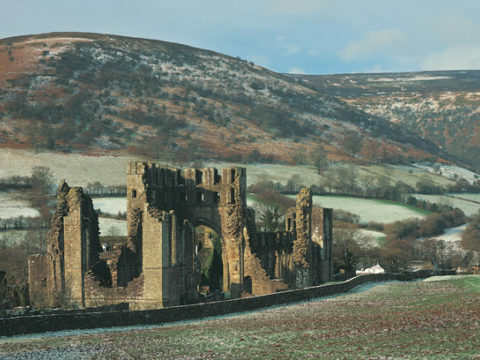 Llanthony Priory is managed by Cadw and has a privately-run cellar bar, restaurant and accommodation. 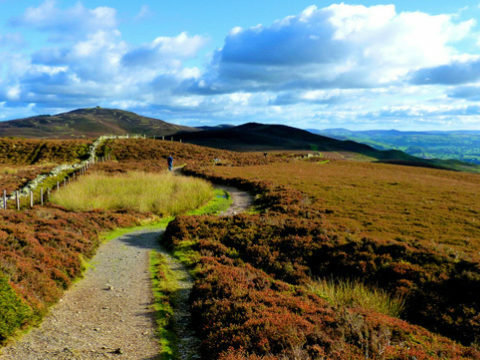 Several footpaths run up to Offa’s Dyke from Llanthony in Brecon Beacons National Park. 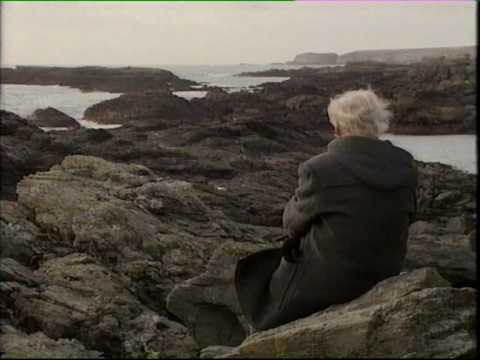 RS Thomas (1913-2000) is one of Wales' most admired literary figures who published more than 20 volumes of poetry in the English language, echoing the structures and lyricism of Welsh poetry. Thomas was full of paradoxes: he learnt Welsh as an adult, but wrote in English and sent his son to an English boarding school. He was austere, solemn and often unsociable; however, as an Anglican priest he was required to console and offer sympathy to his parishioners. He controversially spoke in favour of both the IRA and of the cottage-burning campaign of Meibion Glyndŵr, yet was also a crusading pacifist and conservationist. 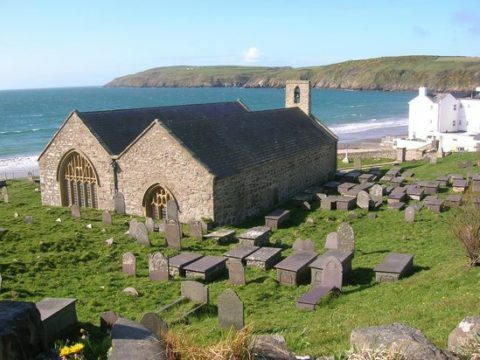 Thomas’ career took him gradually west, until his final post at St. Hywyn's where he reputedly burnt his cassock on the beach after a lifetime of service. 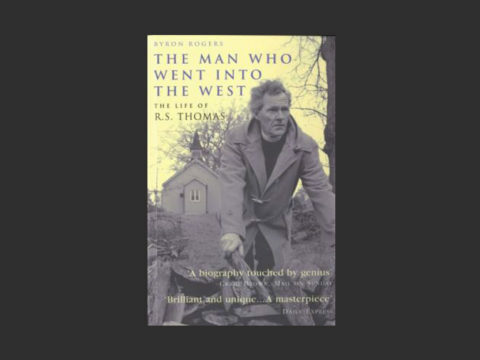 The Man Who Went Into the West: The Life of RS Thomas by Byron Rogers is an excellent biography of this man of contradictions. The RS Thomas & ME Eldridge Society run an annual Poetry and Art Festival in Aberdaron. Wales’ best-known and most notoriously charming drug smuggler, Howard Marks (1945-2016), was born in nearby Kenfig Hill and studied nuclear physics at Oxford University. 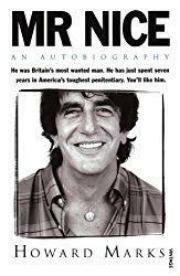 Marks wrote about his experiences of international drug smuggling, including a long stretch in an American jail, in his bestselling book Mr Nice. It was loosely adapted into the 2010 film of the same name, starring Rhys Ifans. Marks published crime novels in later life, as well as Señor Nice which explores his ancestor, the pirate Sir Henry Morgan (1635-1688). Kenfig National Nature Reserve offers stunning walks through the colossal sand dunes which consumed the original, medieval town of Kenfig. 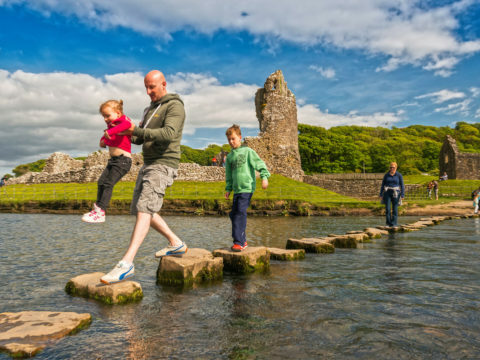 Travel east for Merthyr Mawr and the stepping stones which ford the river at Ogmore Castle, where you can book a horse ride across the dunes. 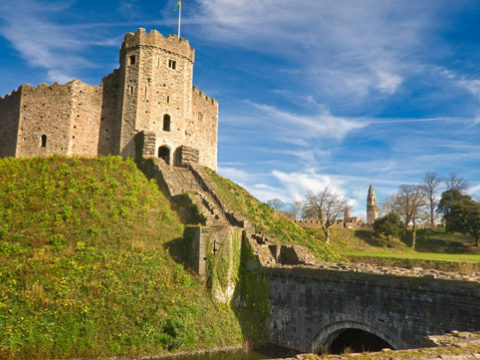 Originally a Roman fort, a 12th century motte and bailey at Cardiff Castle was built to secure Norman rule in south Glamorgan. Replaced in stone soon after, it represents the continuous conflict with Welsh Princes and nobles at this time. 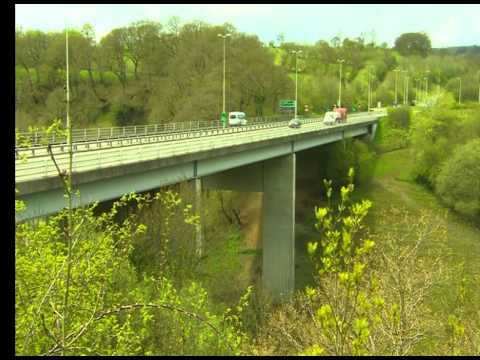 Ifor ap Meurig (c. 1170), better known as Ifor Bach, controlled an estate all the way from north Cardiff to the heads of the valleys. 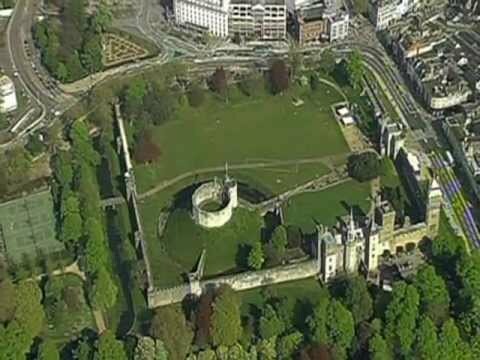 According to Gerald of Wales (1146-1223), the land grabbing of incumbent Norman, William Fitz Robert - Earl of Gloucester, infuriated Ifor Bach and his small band of warriors. 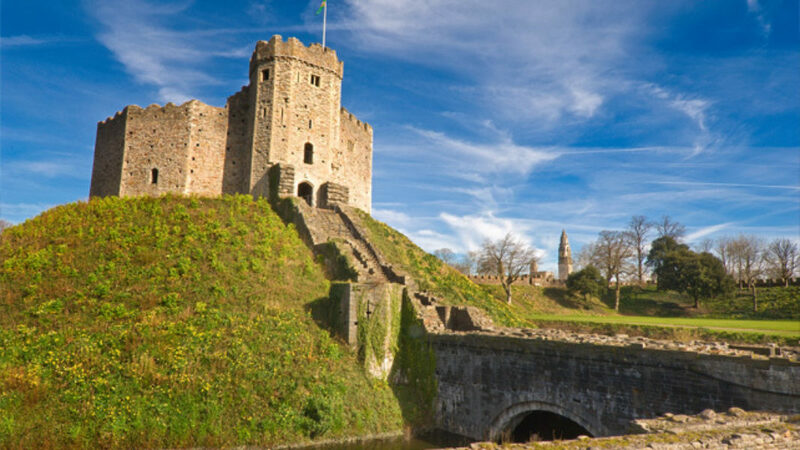 Scaling the walls of Cardiff Castle using their bare hands, they seized Fitz Robert and his family and demanded the return of their lands. 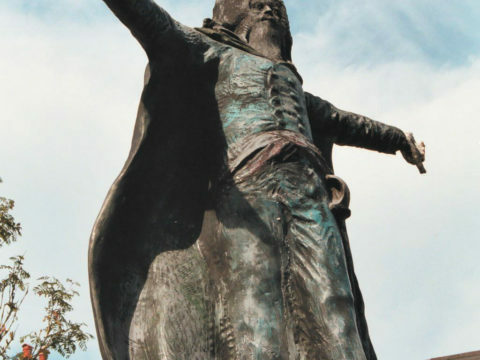 Ifor Bach succeeded, and released his hostages unharmed. 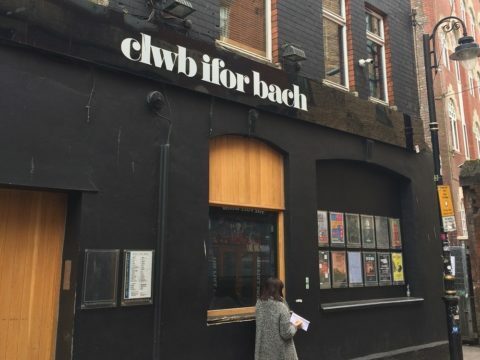 Cardiff’s best music venue, Clwb Ifor Bach, is named after him. 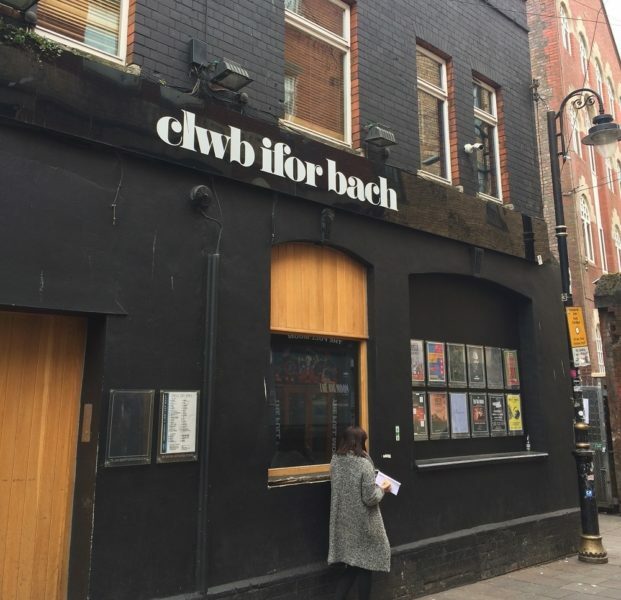 ‘Clwb’ has inspired many Welsh writers, including poet Rhys Iorwerth who wrote the popular poem Y Ferch wrth y Bar yng Nghlwb Ifor (‘the Girl by the Bar in Clwb Ifor’). Thomas Jones (c. 1530-1609), better known as Twm Siôn Cati, famously stole from the rich and outwitted his enemies. 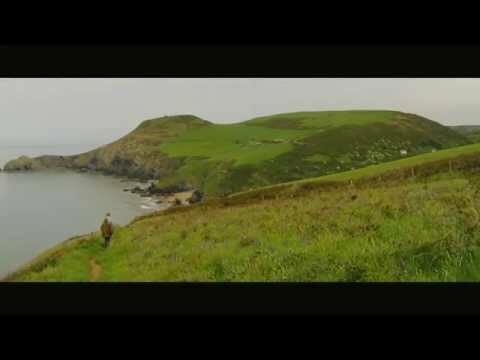 Born in Tregaron, Twm is Wales’ very own Robin Hood: a thief with a conscience. Rather than hurting his victims to avoid pursuit, he would shoot an arrow to pin them to their horses’ saddles. He managed to stay hidden from the Sheriff of Carmarthen in Ogof Twm Siôn Cati (‘Twm Siôn Cati’s Cave’), half way up a steep hillside in the RSPB’s Gwenffrwd-Dinas Nature Reserve. 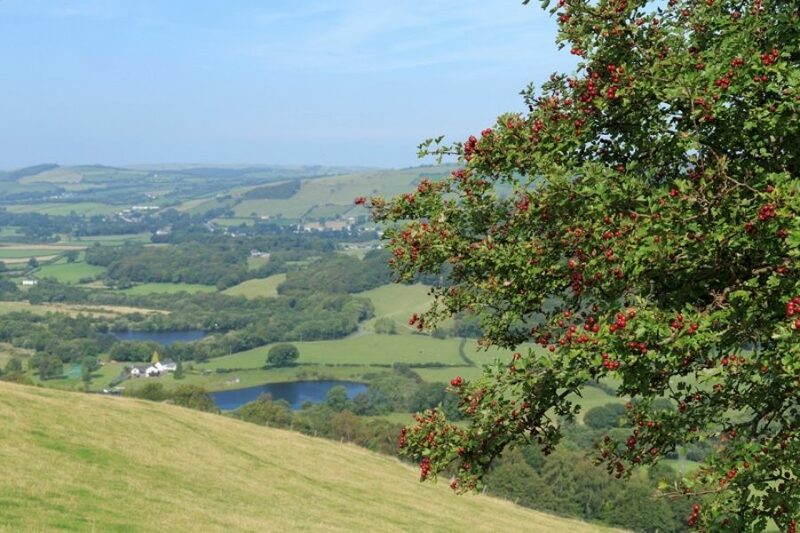 Take the circular footpath around Dinas Hill, following the spur up to the cave which has graffiti dating to the 18th century. Twm eventually retired a wealthy man and a Justice of the Peace. 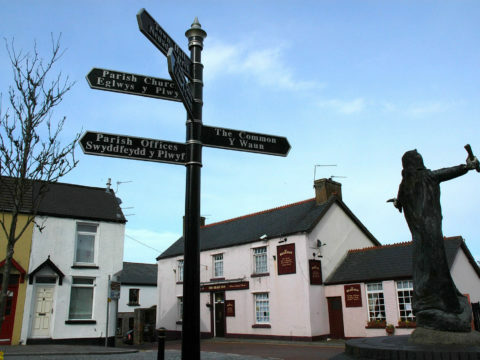 His hometown of Tregaron boasts a statue, the Twm Town Walk, and the famous Y Talbot (a 17th century inn with its own legend about a buried elephant). Children’s author T Llew Jones (1915-2009) wrote a series of popular books on Twm Siôn Cati, keeping his wonderful legacy alive. 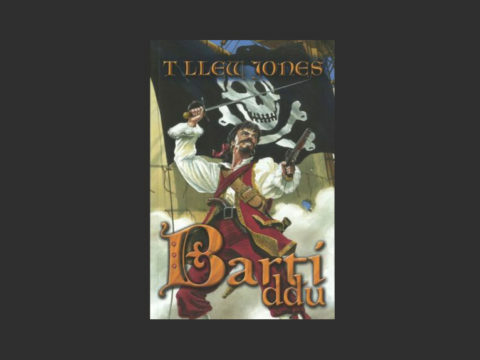 T Llew Jones (1915-2009) has been a family-favourite for decades, inspiring generations of children with his novels packed full of adventure, dangerous villains and fearless heroes. 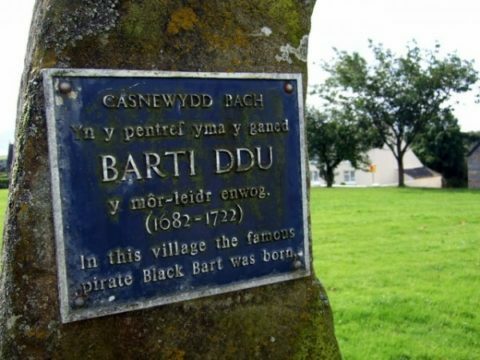 One such rebel and outlaw was Bartholomew Roberts (1682-1722), better known as Barti Ddu (‘Black Bart’). 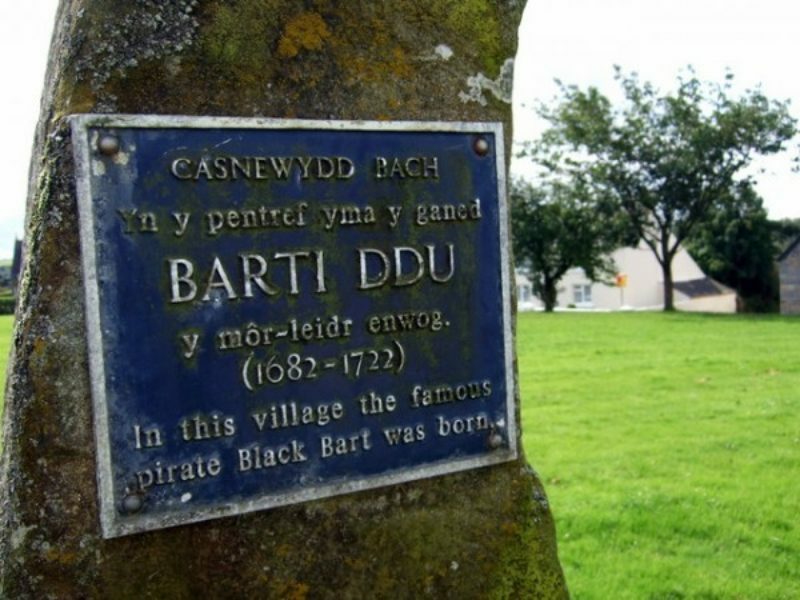 Born in Little Newcastle, Barti Ddu was a prolific and successful pirate: taking more gold and ships than Blackbeard and Captain Kidd. 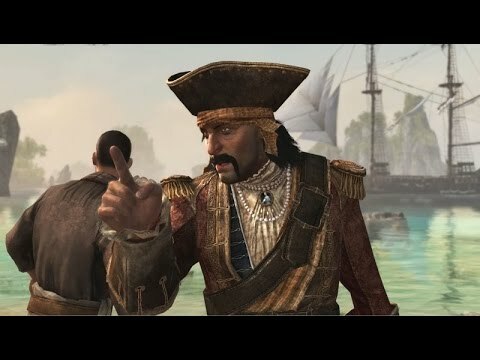 He roamed the Atlantic and Caribbean attacking any ships he came across, and was famed for his colourful clothes and the ever-increasing bounty on his head. 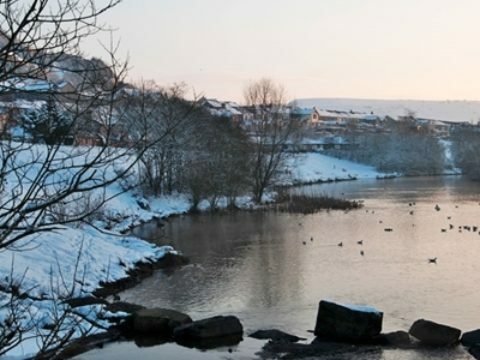 Writer Daniel Defoe visited this area in 1724 whilst researching his book about Britain. He talked to folk who had known the dark-haired, handsome lad who left for sea at the age of ten and never returned. 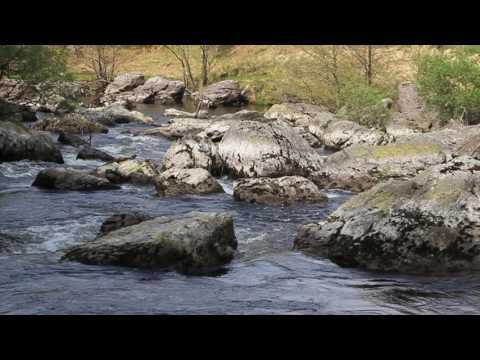 Nearby Sealyham Activity Centre offers multi-action Adventure and Families Days. T.H. 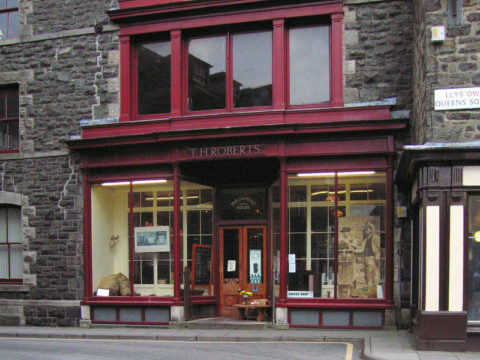 Roberts – a Victorian ironmongers turned coffee shop – stands on the site of Cwrt Plas yn Dre. 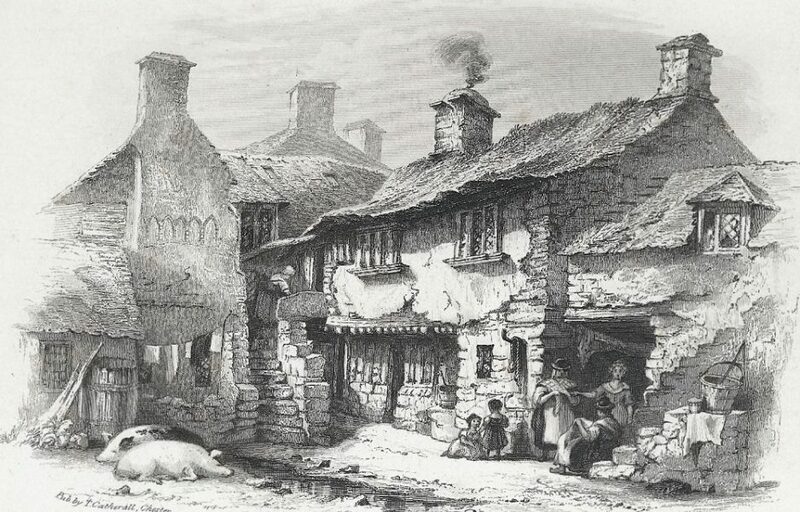 The original 15th century building reputedly held Owain Glyndŵr’s court and was later the home of Baron Lewis ap Owen, Sheriff of Meirionnydd. 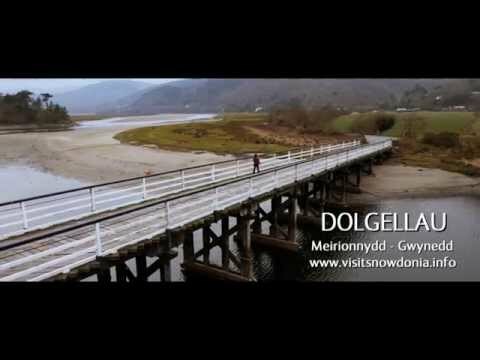 In 1555, ap Owen was murdered by the legendary Gwylliaid Cochion Mawddwy (‘The Red Bandits of Mawddwy’) - a group of 15th and 16th century red-haired highwaymen and robbers, famous in Welsh folk literature. 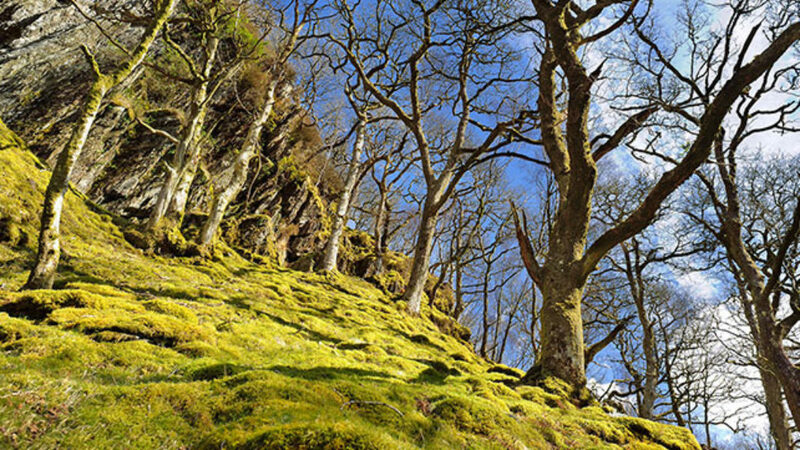 Tales abound of their scurrilous cattle and property thefts within the remote and lawless Mawddwy area. This area is rich in rebellious heritage: the Quaker movement gained many followers here, inspiring the modern Welsh classic Y Stafell Ddirgel (‘The Secret Room’) by Marion Eames (1921-2007). 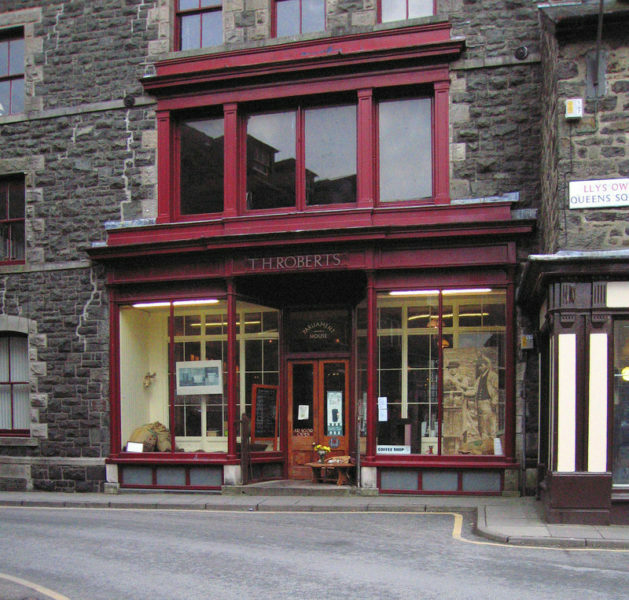 You can follow Dolgellau’s Quaker Heritage Trail and visit the Quaker Museum. 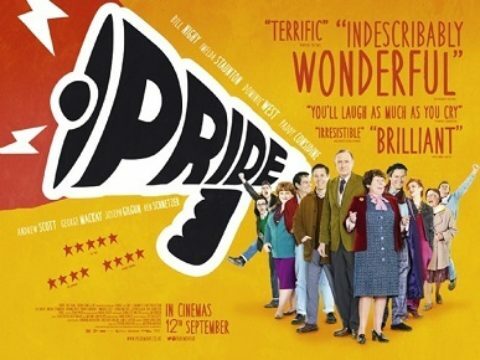 The 2014 film Pride, starring Dominic West and Imelda Staunton, is based on the uplifting story of an unlikely alliance between the people of the Dulais Valley and a Lesbian and Gay group from London. At a time of widespread homophobia, LGSM (Lesbians and Gays Support the Miners) raised money for the Neath, Dulais and Swansea Valley Miners Support Group to help families affected by the 1984 Miners’ Strike. 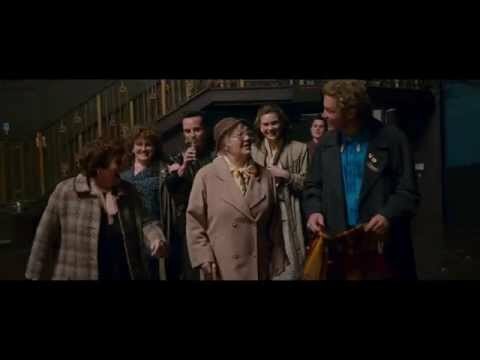 The Onllwyn Miners Welfare Hall was the location for the memorable disco scene in the film, where the song Bread and Roses, inspired by the words of American poet James Oppenheim, was sung by the young singer-songwriter Bronwen Lewis. The venue held a recent reunion between the two groups which raised funds for an HIV charity. 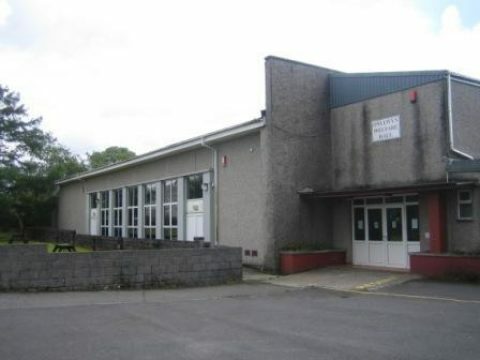 The Hall has a lounge and bar which hosts regular events.